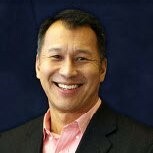 We are pleased to announce that Peter Fung has joined the Arctic Chiller Group in the role of East Regional Sales Manager. Peter’s main duties will be sales growth, product promotion and education to the field sales offices, consulting engineers, mechanical contractors, owners and architects in his region. He brings over 30 years of experience in chillers, custom airside equipment, and system solutions to the table for Arctic. He is also a certified Practicing Institute of Engineering presenter in the state of New York. Prior to joining the Arctic Chiller Group team, Peter served as a Sales Engineer for Carrier International, East Regional Sales Manager for CES Group (now Nortek Air Solutions), and most recently East Regional Sales Manager for ClimateCraft custom airside equipment. Peter resides in the Philadelphia area and can be reached at 215-353-3499 or peterf@arcticchillergroup.com.